An allergy is the response of the body’s immune system to normally harmless substances. 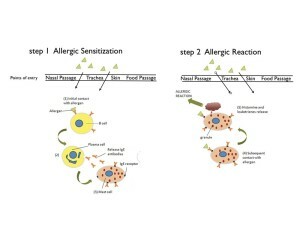 Whilst in most people these substances (called “allergens”) pose no problem, in allergic individuals their immune system identifies them as a’ threat’ and produces an inappropriate response. When the allergic person comes into contact with the offending substance, his body’s immune system rushes to his rescue and begins to produce antibodies to fight off the invader. These antibodies alter the way in which the body reacts, and may produce allergic symptoms. It is estimated that at least 20% of the population is likely to develop some kind of allergy. What are the most common allergic symptoms? Allergy can involve any part of the body. Any system. Any tissue. Most reactions involve the areas cared for by your Otolaryngologist, especially the nose, sinuses, throat, voice box and trachea. Is an allergy a serious illness? An allergic reaction can vary from a mildly irritating problem to a very serious and life threatening one. Most people usually develop a response of their nasal passage (Allergic Rhinitis). Some may develop a response of their Lower airway (Asthma). A sudden severe reaction can cause a generalized response called Anaphylaxis – which can cause shutting down of the breathing passage, circulatory collapse, shock and even death. While specific allergies themselves are not inherited, the tendency towards allergies is. The more allergic one’s family is, the more likely one is to develop allergies. At what age is a person most likely to develop an allergy? Will I outgrow my allergies? No. It is common for people to change the way their other allergic symptoms affect them, but the symptoms usually persist. What is the 1st treatment for allergies? First of all, a careful history of the allergic person is taken. 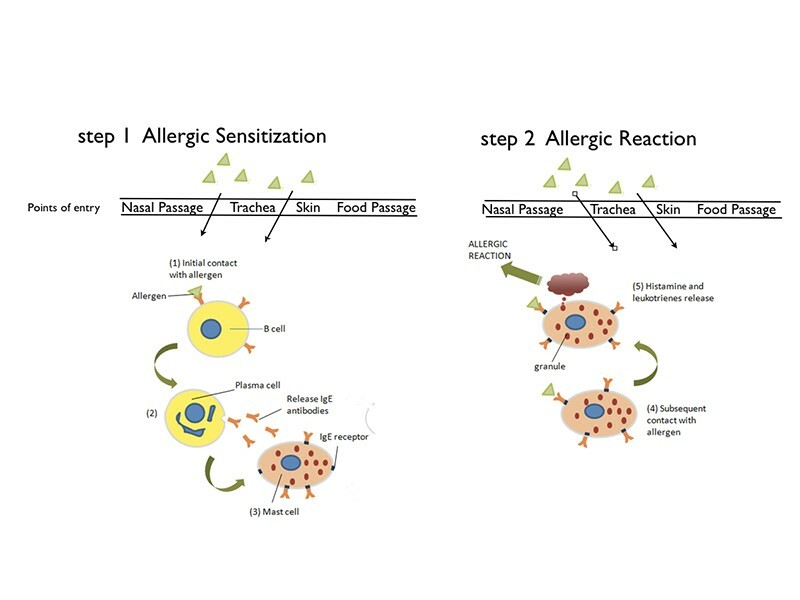 The most basic treatment, once an allergen has been identified, is to eliminate the allergen. Should an ENT treat my Allergies? Majority of the problems encountered due allergy affect the ear, nose or throat. Chronic nasal congestion and post nasal drip, seasonal or constant, is often allergic and may be complicated by chronic sinus and middle ear disease. Some ENT’s also run allergy clinics, and are equipped to do proper allergy testing and should be preferred. Such specialists are also capable of offering specialized examination of the ear, nose and throat. 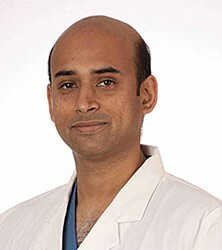 When required, such specialists may also suggest surgical treatment, such as polyp removal, placement of middle ear ventilating tubes, straightening of the nasal septum, and treatment of sinus infections. Should I do any tests for allergies? How can I prevent allergies? 3. De clutter your home and damp dust regularly. Dander settles on carpets and soft furnishings. Keep the house ventilated and also vacuum regularly. What if the allergen cannot be eliminated? Drug treatment has long been a cornerstone of allergy treatment. Antihistamines and/or decongestants (for the nose) and bronchodilators (for asthma) counteract the symptoms caused by the main chemical released by the body’s immune system in an allergy attack. There are other drugs, both pills and nasal sprays, which can prevent the release of these inflammatory chemicals or suppress the immune reactions themselves. When can I stop taking medications that I have been using to treat allergy problems?